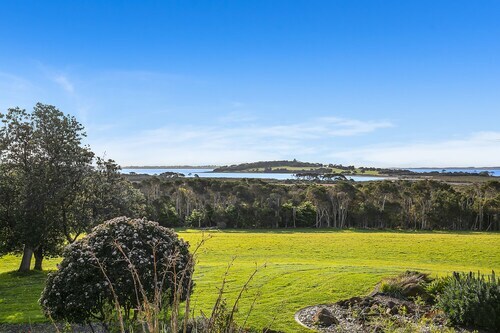 Situated near the bay, this luxury apartment building is 2.1 mi (3.3 km) from Phillip Island Nature Park and 2.7 mi (4.4 km) from Phillip Island Chocolate Factory. National Vietnam Veterans Museum and Churchill Island Heritage Farm are also within 6 mi (10 km). 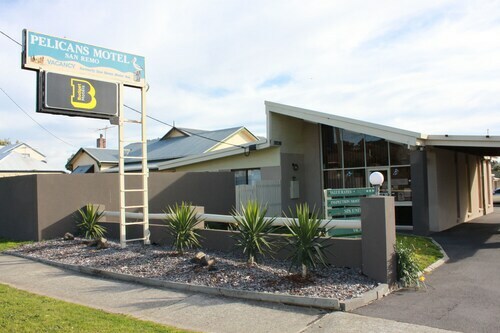 Offering direct access to the beach, this San Remo hotel is in a shopping district and within 3 mi (5 km) of Phillip Island Nature Park, Phillip Island Chocolate Factory, and National Vietnam Veterans Museum. Forrest Caves and Churchill Island Heritage Farm are also within 6 mi (10 km). 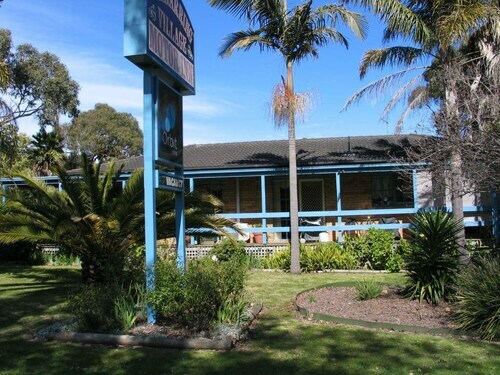 Situated near the beach, this motel is 1.2 mi (1.9 km) from Phillip Island Nature Park and 1.9 mi (3 km) from Phillip Island Chocolate Factory. National Vietnam Veterans Museum and Churchill Island Heritage Farm are also within 6 mi (10 km). Planning to spend some "you" time in Phillip Island? Hoping to arrange a place to stay in or near San Remo? We can help out. 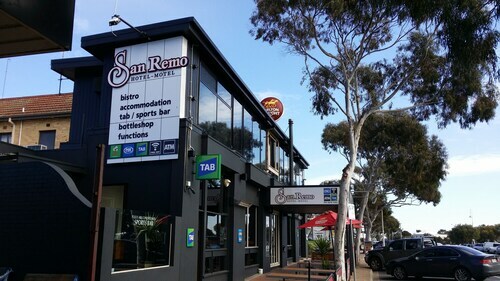 The San Remo Hotel Motel and Silverwater Resort are several good options in San Remo and are just a cab ride away from the town centre. 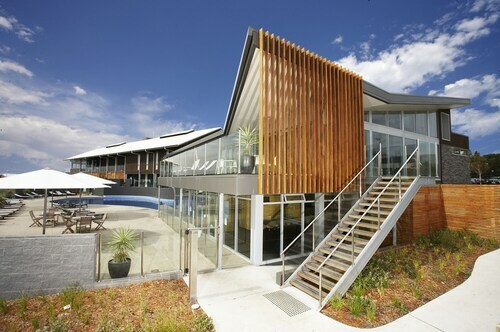 You could also check out the Continental Hotel and also the Ramada Resort Phillip Island. The Continental Hotel is located 20 kilometres from the centre of San Remo. The Ramada Resort Phillip Island is located 19 kilometres away. Some other options include the Comfort Resort Kaloha and the Cottages for Two. The nearest accommodations in Phillip Island are Rhyll and Sunderland Bay. Rhyll is 15 kilometres to the west of San Remo, while Sunderland Bay is 16 kilometres to the west of San Remo. Rhyll hotels are the Clifftop Boutique Accommodation and Silver Waters Bed & Breakfast. Sunderland Bay accommodation options are the Beachwood Studio and Koala Park Resort. Just because you're on holiday, doesn't mean you can't indulge in your love of all things sport. Melbourne Cricket Ground is 90 kilometres to the northwest of San Remo. Sleep right near the action at the Hotel Barkly - Hostel or the Apartments Ink. If you are transiting into or out of Tullamarine Airport and want to stay nearby, try the Best Western Airport Motel and Convention Centre or the Quality Hotel Melbourne Airport. How Much is a Hotel Room in San Remo? Hotels in San Remo start at AU$73 per night. Prices and availability subject to change. Additional terms may apply.